There’s no denying it, Berlin is one of the most fun cities in the world. Wild, raucous, full of art, adventure and all night “alternativeness”, it’s hard not to be bowled over by the energy of the German capital. And amazingly, sat on the edge of Eastern Europe, Berlin is delightfully affordable for a European capital city too. I think Circus Hostel was one of the original flashpacker hostels and it still occupies a hot spot in the Berlin hostel scene. The friendly staff here and great vibe means this place regularly attracts top reviews and its great location, free wifi, onsite microbrewery and café all add to the atmosphere. Situated near the Mitte district, it’s regularly up for awards and the hipster, urban décor suits the place down to the ground. The clean dorms are perfect with USB charging points, and the private rooms offer a bit more luxury and comfort for couples or those who’ve been on the road for a while! #1 Good Camera – You will be pretty much snapping non-stop in Berlin and will need a good camera to do this incredible city justice. I highly recommend the Sony A6000, which I use for all my travels and love, not least because it’s light, compact and robust! #2 Good Walking Shoes – There will be a fair amount of walking in Berlin because this city is huge, so make sure your feet are comfortable with a pair of New Balance Trainers. Perfect for city strolling, I love mine! #3 Good Guidebook – I’m still a massive fan of the Lonely Planet Guidebooks and do think their Berlin edition is well put together and able to save you a lot of money if you want to learn about the history of this city, but not pay for a guide. #4 Good Water Bottle – All that city sightseeing is thirsty work, so make sure you have a metal water bottle that you can refill as you go, because Berlin tap water is drinkable… and free! #5 Good Backpack – And to carry your water bottle, camera and guidebook, you’re going to need a decent backpack that will help you balance the weight as you walk the city streets. In my opinion you can’t go past the Bobby Anti Theft Backpack, which is also perfect for helping you avoid pickpockets too. 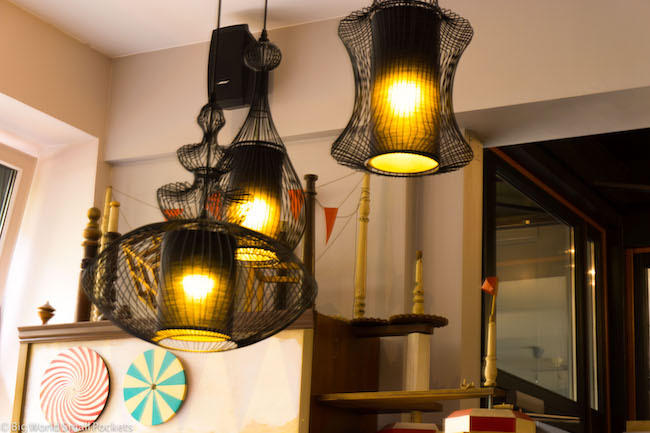 Situated in the fun area of Kreuzkoelln, the Cat’s Pajamas Hostel has great transport links and tons of restaurants, cafes, galleries, shops and bars on the doorstep. With a guest kitchen and a great array of clean spacious rooms and dorms, this hostel offers a more chilled vibe with no bar on site for those that don’t want to party every night. If you want even more of a chilled time, then private single rooms here are the answer. The free towels are a nice bonus and the outdoor terrace is great. Highly recommended for those that want a more relaxing time in this city, the Cat’s Pajama’s is definitely one of the best Berlin hostels. A great Berlin hostel with a very personal feel, Enrico the owner always makes time to sit down with guests and fill them in on the local hotspots. 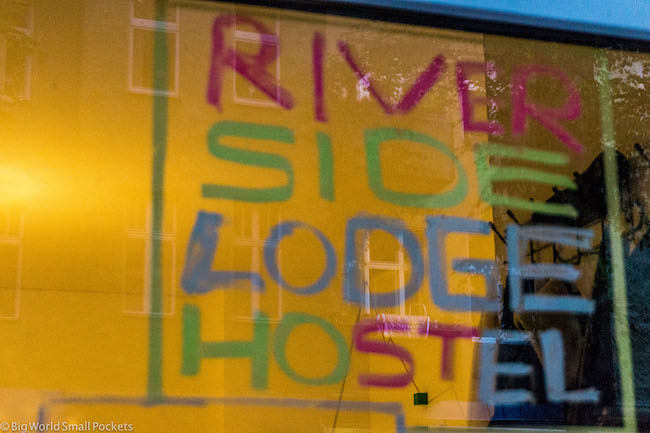 Situated in a cool arty part of town, Riverside Lodge is great for those who really want to experience the cultural offerings of Berlin – from local markets to bars and shops. Indeed, there’s a great vibe to this part of Berlin that wonderfully suits the small and cosy nature of Riverside Lodge. 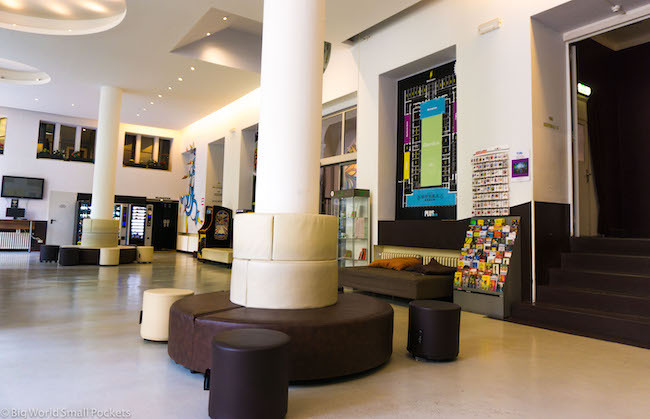 Free city maps, free wifi and tea / coffee making facilities are all part of the offer here as are dorm beds as well as private rooms. 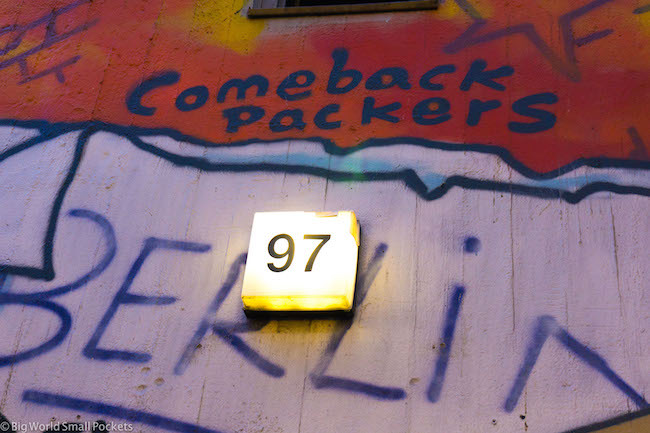 Number 4 on my list of the best Berlin hostels is the brilliantly named Comebackpackers, which is situated in the Kreuzberg district of the city. A popular student area, with tons of nightlife, this is actually the geographical heart of the capital and you can rest assured there’s always something going on! 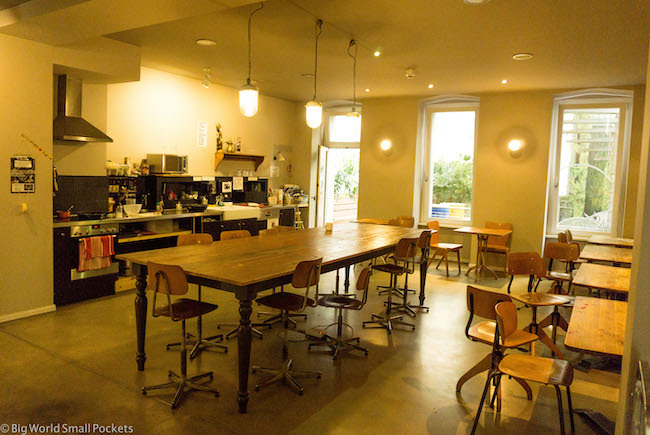 Describing themselves as “handmade with the heart and soul of people who grew up in this district” this is a Berlin hostel designed with travellers in mind – there’s a kitchen here, a common room and a 24hr bar. So as you can imagine, Comebackpackers is definitely the place to stay if you want to party in Berlin rather than sleep! BONUS TIP: If you plan on sightseeing a lot in Berlin, then the Berlin Pass is a great way to save tons of money and tons of time when visiting the city’s top attractions. Granting you free entry and line-skipping, check out how much you could save with The Berlin Pass now! 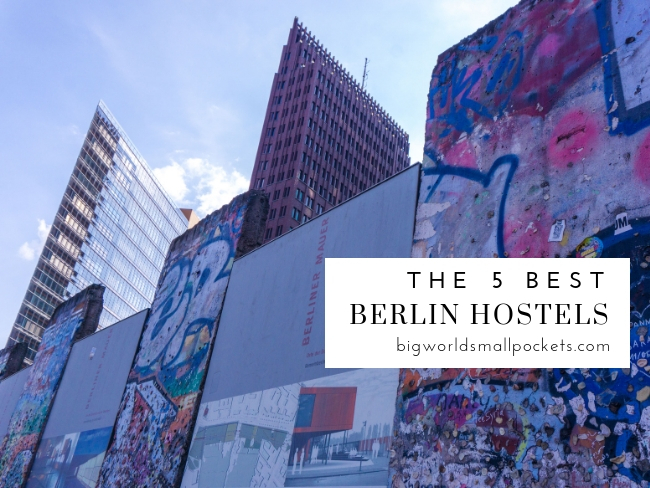 And finally, last but not least on my list of the best 5 Berlin hostels, is PLUS Berlin – an epic backpackers with some incredible facilities and features. 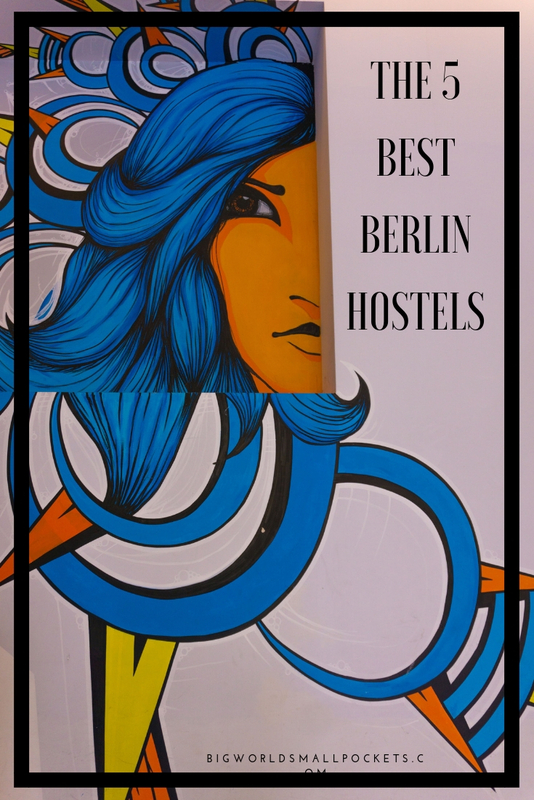 Right near the East Side Gallery, the location of this hostel is hard to beat, but with a swimming pool, sauna and garden on site here, you might have trouble pulling yourself away to discover all the fun the nearby neighbourhood of Friedrichshain has to offer. I loved the arty feel of this suburb, the vintage shops and the quirky cafes and I loved how clean and new PLUS Berlin was. Their small dorm rooms are all ensuite and the privates offer just that little bit more luxury, but both come with free towels and free wifi of course! 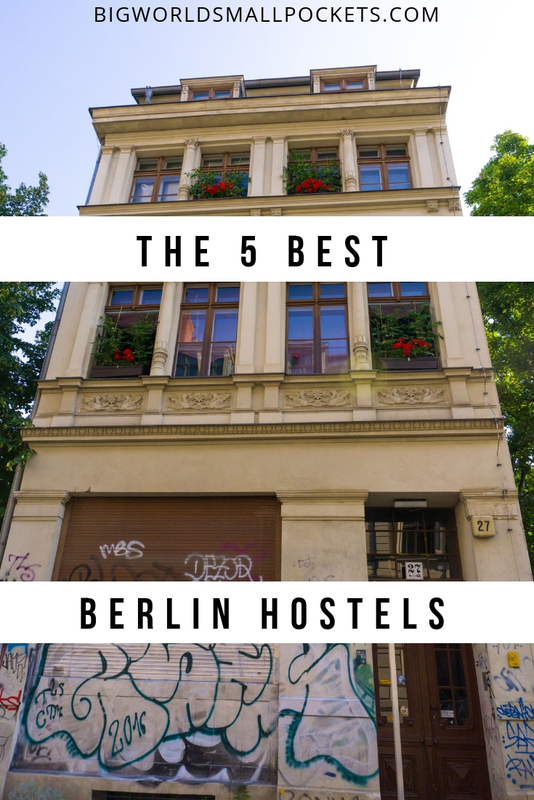 So there you have it, the 5 best Berlin hostels I’ve found on my travels in this city. Where do you normally stay when you travel to Berlin and what do you like best about it?